I recently came across this advertisement for a construction company from a newspaper from May 4, 1921. The ad reads as follows; Confidence in your contractor, your home is what your contractor makes it. His ability and experience is directly reflected in its beauty, its construction, its permanence. For many years we have built beautiful homes which surpass even the owners’ expectations. Our reputation for good work has stood the test of time. Your confidence in our ability will not be misplaced. Moving to present day with all the special tools and advancements we made in materials and supplies in the construction industry, one thing still holds true after 95 years. Do you have confidence in you contractor? Today more than ever we have the ability to research companies, get pictures and references with a click of mouse. Trust is not just helpful in a business relationship, it’s essential. Without trust, customers have no reason to believe price quotes, deadlines, and overall quality are what the contractor is telling them. For most people, their homes are their biggest investment, so it’s very important to be straightforward when planning, executing, and completing a project. With trust, operations will go smoother, customers will be more receptive, and referrals will increase. Although it is difficult not to let price become the deciding factor in choosing a contractor it should definitely not be the lone deciding factor. 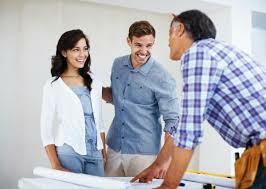 Home renovation in any form is definitely one area in which you will get what you pay for. While it is not necessary to spend an obscene amount of money, if you get a bid that is significantly lower than any others that should be something you should check out. While it is not necessary to spend an obscene amount of money, there is no question you get what you pay for so if you get a bid that is significantly lower than the others you might want to thoroughly check that company out because if it seems like a deal too good to be true…..it probably is! The bottom line is to become informed. Make a list of questions you have for your potential contractor, get references, review their website and make sure they actually have the ability to perform the work required. Are they licensed, bonded and insured? Are they capable of handling a project of your nature, whether it is a bathroom, kitchen, basement or something larger? Do they have the time to complete your work within the timeframe you require? Do your homework and make sure they are a good fit for you and your family, and most importantly your home. You don’t want to just trust anybody to work on your biggest investment. And most importantly, if you find a contractor that you like and trust, and he does a great job for you at a fair price……make sure you NEVER lose his number and refer him to all that will listen as he is worth his weight in gold!